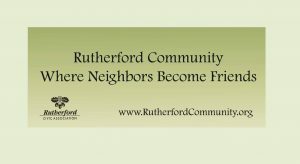 Rutherford CA Home – Page 2 – Rutherford, where neighbors become friends. Did You Know? What to Do With Yard Debris. Your suggested $20 annual donation to the Rutherford Civic Association supports many services and community benefits.